For those who do not know, please read “the big fat surprise” to find out more how the idea that “animal product is bad for you” started in the first place and enjoy those stories of Ancel Keys. 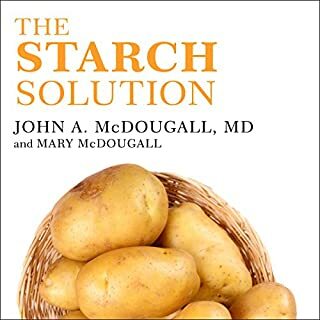 As a researcher myself, i can tell you all that there are plenty high quality researches out there to show that Key’s assumption that animal fat consuption leads to heart disease has been proven otherwise and i cannot believe the author still use blood cholesterol as a marker of health in this book (not diffentiating LDL, HDL, let alone bigger and small particles of HDLs). Ive listened for 3 hours, listening to the narrator repeating that animal product is bad for you, without quoting one single research!!! You cannot just take some unproven assumption of Ancel Key’s and take it as truth. Thats how AFDA got the whole country on the low fat diet in the first place and guess what, they just secretly removed the fat restriction on american’s diet without making a big announcement of it. Too embarrased or to protect the current food industry at the expense of population health? I am returning this book as i do not like the fact that the whole book was based on the assumption that animal product is bad for you without any evidence supporting it. I have read and seen so many opposite opinions and know there are a whole world of scientific evidence to support the opposite view. If only the author would just look it up.